27 is the sadly the young age that ties together so many legendary musicians we have lost, from Jimi Hendrix to Janis Joplin to Jim Morrison. 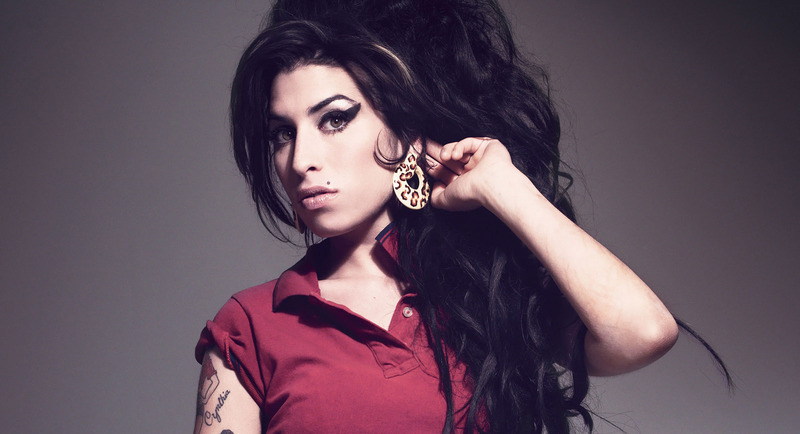 In the last year, two documentaries were done about dead-at-27 musicians, HBO’s Kurt Cobain documentary Montage of Heck and the Amy Winehouse documentary Amy. Both focus on the coming up/growing up of these two incredible talents, and sadly follow the same pattern. Possibly more than any other musician, Keith Richards is considered the embodiment of rock ‘n’ roll. He’s an infamous wild man consuming more drugs and wild times than probably anyone in his 50 years, he’s the lead guitarist of one of if not the greatest rock bands in history playing as many shows as anyone, and somehow through it all, he’s still in one piece. Even if he appears like an old drunk Jack Sparrow. In recent years, music documentaries have been covering the unsung heroes of music, from the mysterious artists (Rodriguez in Searching for Sugar Man and Fantastic Man about Nigeria’s William Onyeabor), to the spaces and behind-the-scenes people that create classic sounds. There’s been a recent string of music studio documentaries about the magic of some famous studios, from Dave Grohl’s Sound City to the southern mysticism of Muscle Shoals. A couple years ago, 20 Feet from Stardom even won a “Best Documentary” Oscar for its tremendous history and day in the life of some of the greatest backup singers. The Wrecking Crew! Looks at the biggest hitmakers of all time, L.A.’s recording band The Wrecking Crew. On a larger scale, the documentary looks at the lost art of the session band: musicians that could by hired and relied on in an instant to play anything you dreamed up. If you would told me one of the 10 biggest R-rated movies of all time was an N.W.A. biopic, I’d never believe you. But clearly the original gangster rappers struck a chord with a generation, and also our moment in time. N.W.A.’s best known members, Beats billionaire Dr. Dre and gangster rapper extraordinaire turned family man Ice Cube, produced the film, and you can tell they had a roll shaping the narrative. Despite not having the cleanest record, each member comes up looking pretty clean, even though there’s plenty that will tell you otherwise. Even if that’s the case, almost every biopic is pretty celebratory and forgiving of its subjects, so Straight Outta Compton is no exception in this case. The most interesting character in the film is also its central character, the late Eazy E. Eric Lynn Wright aka Eazy E is played brilliantly by Jason Mitchell, his first major role but one that won’t be his last. He captures the erratic, troubled, but good natured E. He plays an interesting opposite to Paul Giamatti’s Jerry Heller, N.W.A’s original manager who helped Eazy E start his own label, Ruthless Records. It seems like Giamatti has played this angry antagonist role a lot lately, but this is certainly is one of his most interesting roles: clearly caring for Eazy E but also certainly willing to take advantage of him. In most movies, they would make Heller a downright villain, but here, director F. Gary Gray depicts the truly complicated relationship that likely existed. Straight Outta Compton certainly couldn’t have been released at a better time, as N.W.A’s fight against racial discrimination from the police is the top of the mind for many. The film depicts this sort of discrimination from the police in a scene that’s the impetus for writing “F**k the Police”. While I think in many ways they make this moment look more righteous and purposeful than it likely was, it certainly does well to spell out the importance of the song’s existence. At a 2.5 hour runtime, I usually have a tough time paying attention. Straight Outta Compton is surprisingly entertaining throughout, even without any major storyline that carries from start to finish. While a bit cheesy and cleaned up at times, Straight Outta Compton is a great resource for understanding the history and importance of N.W.A. Nina Simone has always been a figure covered in mystique: a one-of-a-kind voice in music history that seemed so burdened by feeling she could barely keep it in. What Happened, Miss Simone? certainly lifts the veil to a large degree: a film so filled with archive footage it is impossible not to get a three-dimensional view of Miss Simone. Most music documentaries celebrate the good moments in the subject’s career, and while What Happened, Miss Simone? certainly has a couple bright moments, it succeeds in portraying Simone’s deep sadness throughout her career. Brian Wilson is surely one of rock’s most interesting characters, a troubled genius that faced incredible creative opposition in his own mind, family, and band. I wrote a review of Love & Mercy, the new Brian Wilson biopic that avoids the usual music biopic storylines, for Books & Culture. You can check it out here. In the past forty years, no music form has had a bigger impact on American culture than hip hop. But what we don’t often think of, is how hip hop has impacted people across the globe. Director Adam Sjöberg turns his attention to this global aspect, specifically how it empowers youth in the third world. Hip hop since the beginning has taken four forms: rapping, turntablism (or DJing), graffiti art, and b-boying (or breakdancing). Through some incredible footage and surprising access, Sjöberg focuses on breakdancing in Yemen, Uganda, Colombia, and Cambodia, showcasing how hip hop can be an incredible lifeline for children looking for expression and purpose in even the most difficult circumstances.